Mushrooms are one of my favorite ingredients, not just for preparing pasta, but for numerous other recipes. In Italy, mushroom and pumpkin recipes are very popular in this period of the year, because many people go out to pick mushrooms as autumn approaches. Although cultivated mushrooms are available year-round, so you can enjoy your favorite mushroom recipe any time of the year. My best friend’s mom has a small mountain cottage and she escapes from the city rush every weekend and walks for hours in search for mushrooms. She fills her freezer with mushroom and as you can imagine my best friend now, has a hard time eating mushrooms. 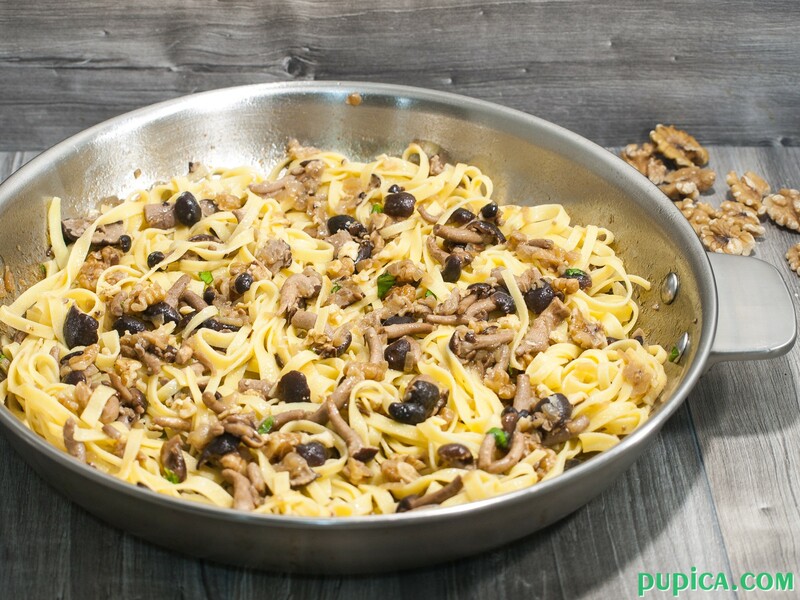 🙂 But I’m happy when she brings me a few bags of mushrooms so I can prepare one of my favorite recipes because preparing pasta with fresh wild mushroom is something you will want to repeat often once you try it. It tastes absolutely amazing. Cultivated mushrooms also taste great, but fresh mushrooms are something really special. 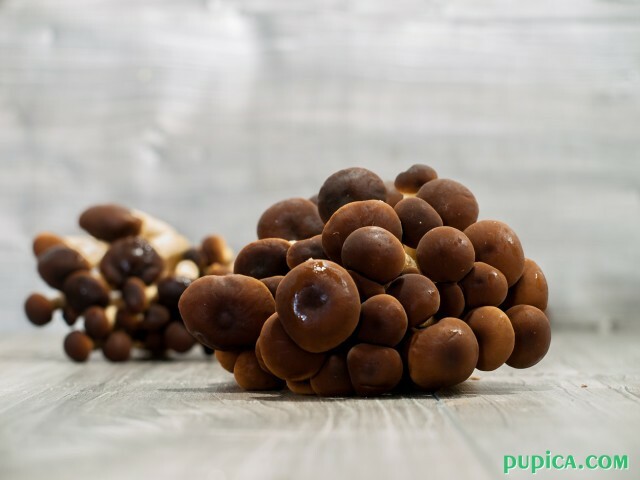 Pioppini mushrooms or Black Poplar Mushrooms is the variety I prefer. They have a unique, nutty and intense flavor that makes them a perfect ingredient for a tasty pasta dish. The caps have a silky and soft texture and stems have a texture similar to asparagus. 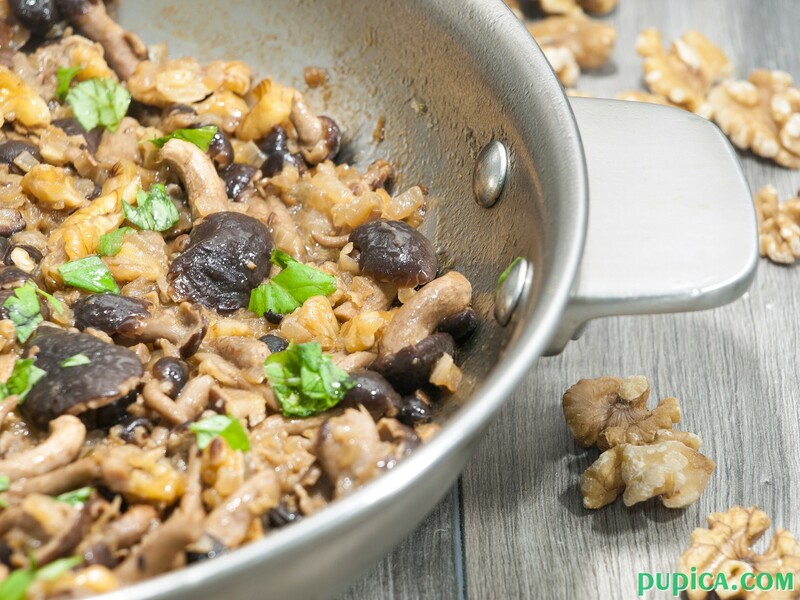 I use pioppini for preparing various meat and veggie recipes, I also store them in oil and my favorite recipes are pioppini risotto, pasta with pioppini and walnuts and pioppini lasagna (wow!! a must try!). 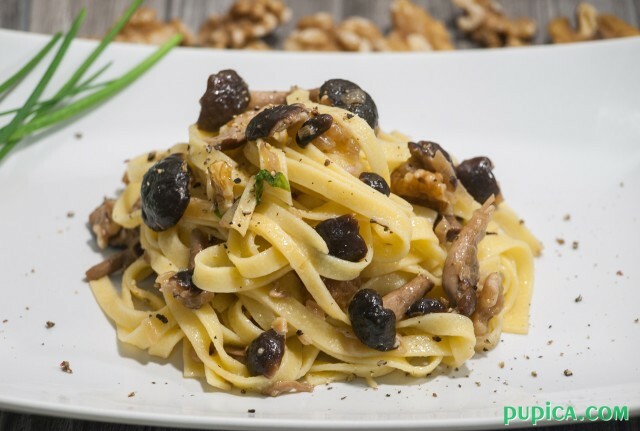 Pasta with mushrooms (pioppini) and walnuts is an unusual and delicious recipe, quick and easy to prepare as well. If you don’t have pioppini mushrooms, use porcini, they are also very tasty and you can prepare an almost equally delicious sauce by using them. I say almost because to me pioppini mushrooms are irreplaceable. Pioppini mushrooms should not be washed, you just need to dust well the caps with a brush, but if it is not enough to completely remove the soil, pass them quickly under warm running water, dry with a cloth and then cut the end part of the stems. For preparing this recipe I always use long shaped pasta like tagliatelle or pappardelle, but of course, you can choose the pasta shape you prefer. 1Clean and cut the mushrooms. 2Warm the oil in a skillet and add finely chopped onions. Cook until golden. 3Add mushrooms and wine. Cook for 5 minutes over high heat. 4Cover and cook for another 10 minutes over low heat. 5Bring a large pot of salted water to the boil and cook the pasta as indicated on the package. 6Drain the pasta and put it in the skillet with the mushrooms. Add butter and chopped walnuts, adjust with salt and pepper and toss well to coat. 7Sprinkle with chopped basil leaves. You can add 30 g of grated Parmesan cheese before serving and toss well to coat.